Have you ever had to deal with a social media crisis? Do you have a crisis plan? In the age of social media, even the slightest predicament can quickly gain momentum and get out of control. If you are prepared, it’s much easier to manage your company’s reputation and come through a crisis unharmed. In this article I’ll share four tips on how to effectively deal with a social media crisis. Thanks to Sofie De Beule for writing this article. What’s a Social Media Crisis? If there’s a high volume of incoming social media messages on one particular topic, chances are you have a social media crisis on your hands. 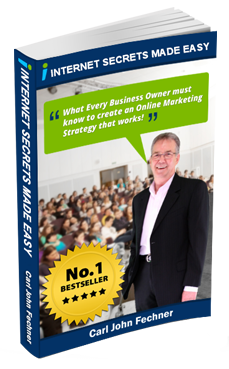 Discover how to handle a social media crisis. Two things can cause a social media crisis. First, external factors such as a natural disaster, human tragedy or something related to your industry can cause people to reach out to your social media accounts. Second, a social media crisis can be initiated on the platform itself due to an insensitive tweet or inappropriate picture, for example. In either case the result is that your social media accounts explode. Waiting for a social media crisis to blow over is never an option. If you ignore it, it will likely get worse. Social media can be an asset in a crisis when used correctly, not an extra problem. Here’s what you need to do to come out on the other side of a crisis with your company’s reputation intact. A social media crisis consumes both time and money. When you’re in crisis mode, you feel like you’re in over your head. Map out what you would need to respond to a social media crisis ahead of time. Come up with a variety of scenarios, so you can take control of any situation when the time comes. Have a plan in place. Image: Shutterstock. Additionally, create a social media committee that involves people from the entire company and meets on a regular basis (weekly or monthly depending on how big your business is). These people need to know the ins and outs of the company, understand which strategies to use when a crisis hits and have the right skills to communicate with customers. Create a crisis center to direct customers and stakeholders to one source that has relevant, useful links with up-to-date information. In 2014, General Motors dealt with a major tragedy that caused a lot of customers to reach out to their social media accounts. People died in car crashes resulting from faulty ignition switches, which prevented airbags from inflating. In the months to come, General Motors set up a major recall action. 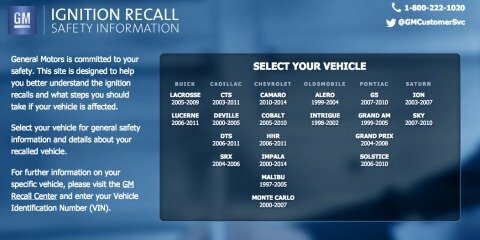 General Motors created a special, stand-alone website that served as a hub of information. It contained FAQs about the recall, a step-by-step explanation of the problems and advice on where and how to get help. To deal with your crisis, create a stand-alone website with useful FAQs and extra information. A crisis center helps a business provide more context about any situation to the people involved. It will also lighten the load on your social media channels. To effectively handle a social media crisis, whether it’s caused by external or internal factors, you need to monitor how it develops. Plus, you need to do this in such a way that the volume of social media messages doesn’t overwhelm you. Use a social media monitoring tool or simply keep Twitter tabs open that have your notifications, as well as a search on the relevant hashtag. Also, label the conversations that are coming in via email to keep track of all social media messages that still need a reply. 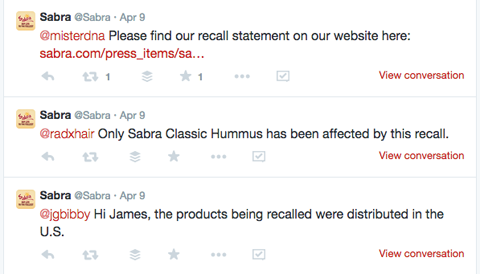 Sabra responded to inquiries when and where they occurred. 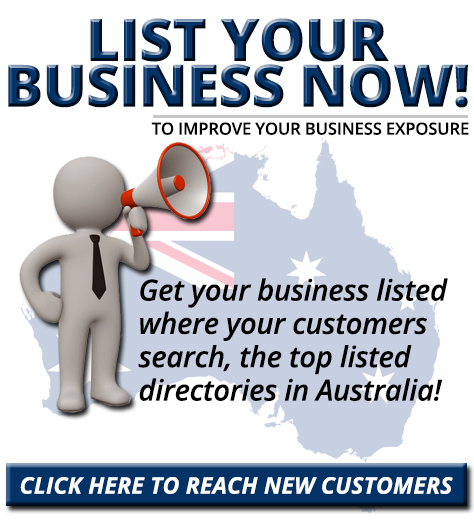 Post relevant updates via your social channels and respond directly to customers. When you communicate information about a crisis to your audience, craft a rapid public response. You want to update anyone and everyone, so no one is left in the dark. A social media crisis never seems to reach an end. Continue monitoring the events and relevant notifications after a crisis. First and foremost, when a social media crisis is caused internally, take full responsibility for the issue, even if you’re not the one to blame. Put together a well thought-out public statement, and share it first on the original platform where the problem started. For example, if a crisis was first initiated on Twitter, launch a statement there first. The speed of a reply is everything. When faced with a social media crisis, make sure you send out your first statement or brand apology into the world within minutes. To make the statement more effective, have a reputable source within your company, such as the head of social media, brand manager, etc., speak on behalf of your brand. When a crisis is a result of an internal error, take immediate action. Issue a public statement to apologize. 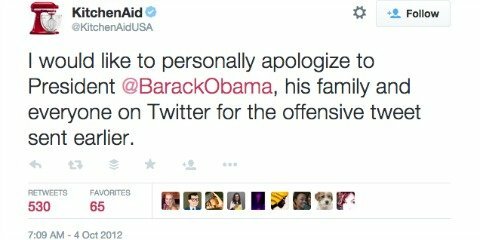 That was exactly the case for KitchenAid in 2012, when a staff member accidentally tweeted an insensitive comment about President Obama’s grandmother from the brand’s account. Just a couple of minutes later, the renowned brand issued a public Twitter statement coming from the head of the KitchenAid brand, Cynthia Soledad, apologizing for the mistake and pointing out that the person who was responsible for the tweet won’t be tweeting for the company anymore. When issuing a statement, show compassion and your full commitment to the issue. Assure customers that they’re your first priority. Don’t be defensive, don’t justify your actions and most importantly, don’t hide from criticism. With social media, crises can easily spread, damaging your brand’s reputation within minutes or even seconds. If you want to regain the trust of your customers, you’ll need to step up your game. Communicate proactively, take matters into your own hands and never be unprepared for a social media crisis. What do you think? 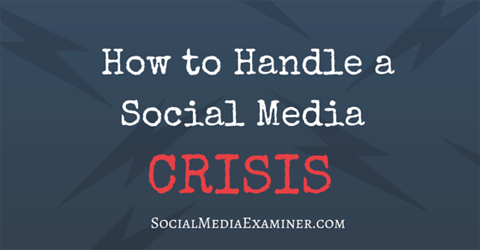 Have you ever had to deal with a crisis on social media? What tools did you use to monitor it? How did you handle it? Share your thoughts and experience in the comments section below. 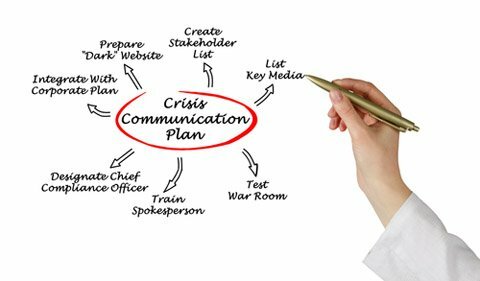 Crisis plan photo from Shutterstock.